Our agency partner was helping their client make a big impact at an annual meeting. They came to us to help make a custom-made “Lite-Brite”-like X with removable pegs that could be written on. Not only did the X need to be impactful, it had to be durable enough to handle lots of interaction as well as a move from the meeting to its permanent home. 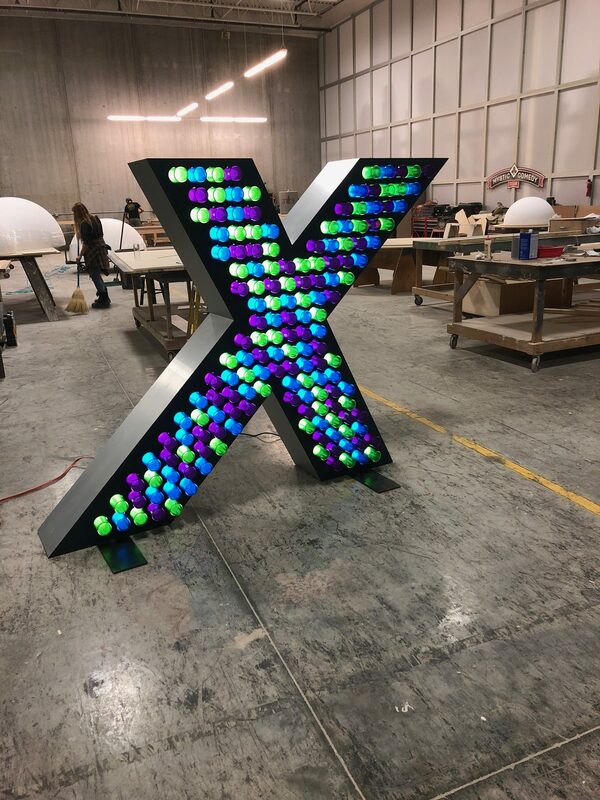 We designed and fabricated an X using a variety of materials best suited to not only the project requirements but also to the budget. And, we custom-built a shipping crate to ensure that the X would arrive to its destination safely. This project required a good deal of consulting with the design team to ensure that the original design intent was maintained throughout the engineering process. Through a series of several meetings, we worked with the team to pick out the best materials to capture accurate brand colors as well as provide a strong visual “pop” on stage.